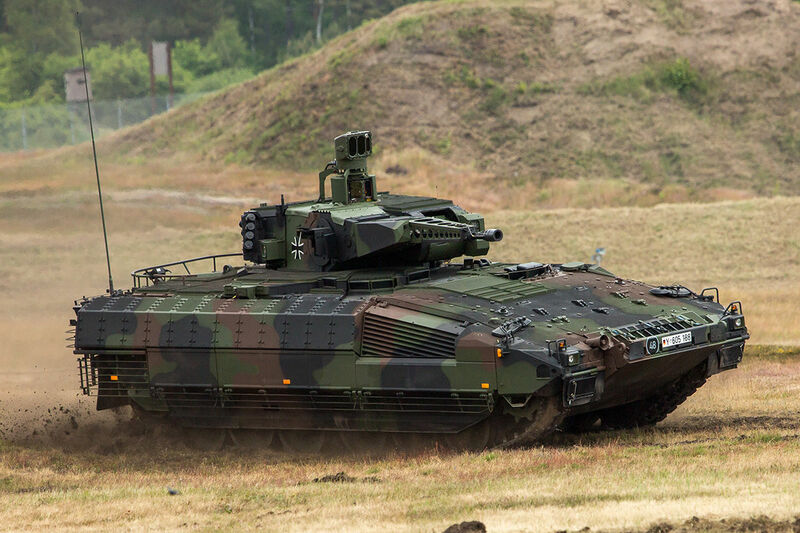 The Puma IFV SPz (Schützenpanzer), is a German Tracked Infantry Fighting Vehicle currently in service with the German Army (Bundeswehr). 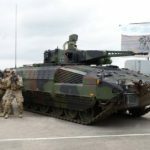 It is currently the most modern and possibly advanced Tracked IFV in NATO. 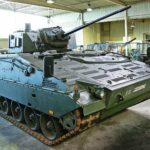 The Puma IFV design requirement was to offer maximum protection for the crew, be airborne transportable, rapid equipping and have interchangeability of basic systems. 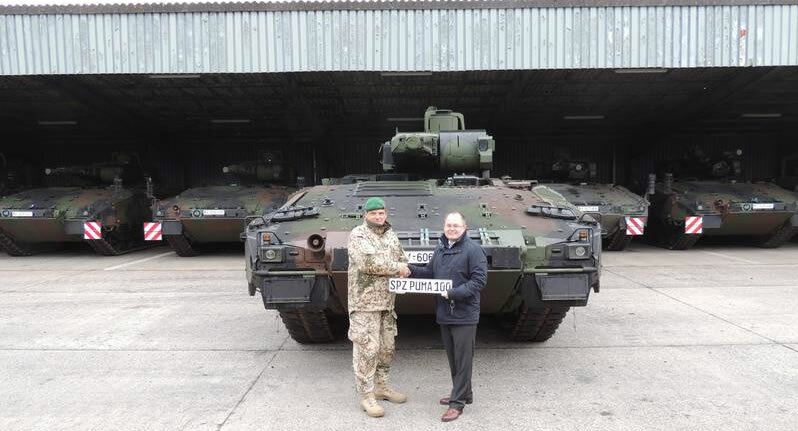 The Puma IFV SPz was developed to replace the long serving Marder 1A3 IFV for the German Army. 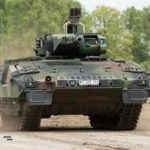 In December 2016, the 100th Puma IFV was handed over to the German Army. 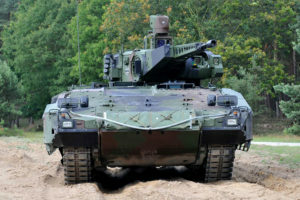 The Puma has been developed by GmbH PSM (Projekt System & Management). 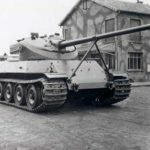 It is also responsible for the testing and qualification of the Puma with the German Army as well as marketing for export. 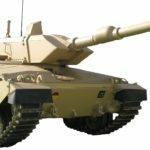 The company was established in 2002 and is a Joint Venture (50% stake each) of Krauss-Maffei Wegmann (KMW) and Rheinmetall Landsysteme. 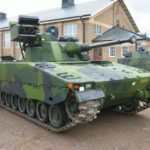 Both companies physically manufacture the Puma IFV. 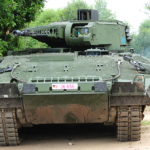 Initially the replacement of the Marder 1 was a joint project between KMW and Rheinmetall, now known as the Marder 2. A single prototype was built and delivered for trialls in 1991. 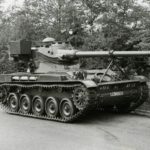 With the unification of West and East Germany, the eventual easing of relations with Russia and the projected costs, the Marder 2 was dropped in 1992. As an alternative, the Marder 1 was upgraded and a new replacement project was started 10 years late, resulting in the Puma IFV. 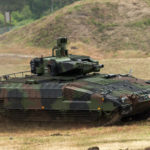 March 2009 – The Puma undergoes Trial and Qualification Tests with the German Army. 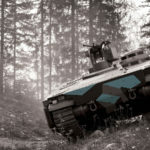 The trials focused on the effectiveness of the weapon system in an operational environment, the handling of the platform as an integrated entity as well as the integration with the Soldier of the Future System (IdZ-ES). 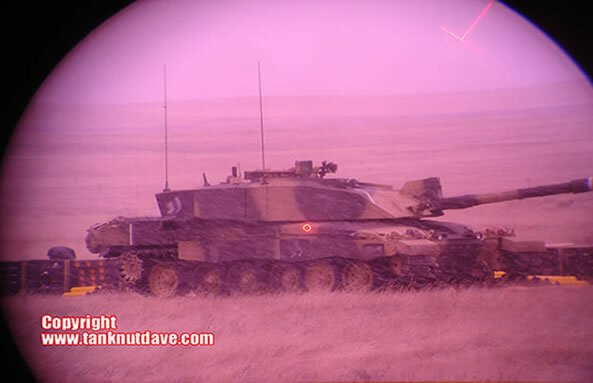 The Trials concluded with live firing tests at day (static and dynamic) and night (static only). 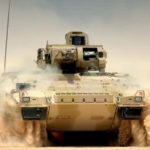 The Puma relies on 3 key features to achieve its high levels of protection for the crew and Infantry. 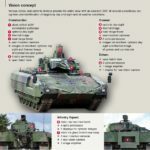 Firstly, the MUltifunctional Self protection System aka “MUSS” (soft-kill Active Protection System). 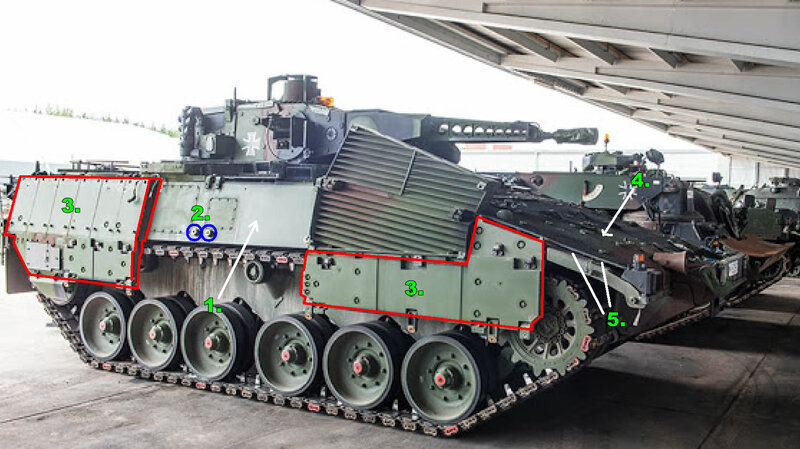 Secondly, the Modular Armor Package and its increased surface coverage deployment and thirdly, the internal layout. 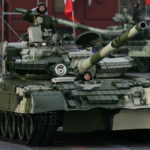 The engine is mounted in the front of the hull and the turret is unmanned, with the crew operating it from within the armored hull. Both the engine bay and crew compartment have been fitted with a fire suppression system and has full NBC protection. The Puma’s Modular Armor comes in 2 configurations. 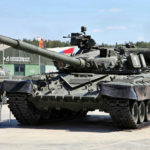 The basic version refered too as “Level A” meaning Air-transportable, includes full mine protection and ballistic protection on a high level. 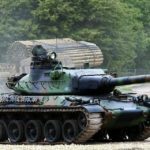 The up armored version is refered to as “Level C” meaning Combat. 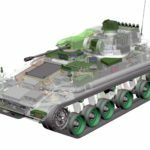 Set across the front and upper sections of the hull are welded on passive armor fixing points. Attached to these fixings are plates of AMAP Armor (AMAP-B). 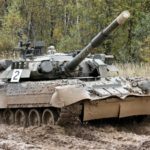 The manufacturer states that the AMAP-B combined with the Puma’s hull steel offers protection to Level 5 of STANAG 4569 against KE rounds. 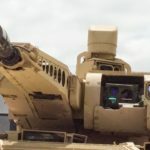 Modular AMAP armor is also fitted to the Puma’s turret. 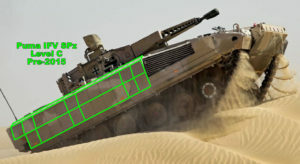 There are little images of the Level A Puma apart from pre-2015 computer generated diagrams. 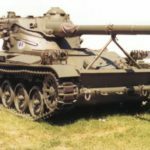 However, the above image (date unknown) shows the bare hull (1) with welded on modular fixing points (2), some type of thinner modular armor (3) or could be backing boards for Level C, that also act to catch spall/fragmentations. The front AMAP-B armor (4) with a visible void (5) between it and the hull due to the fixing points height (just like the Artec Boxer). 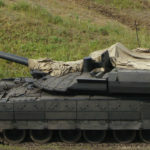 The current in-service Level C modular armor package has changed from what was originally displayed pre-June 2015 (Puma handover), which was Passive Armor (Red). 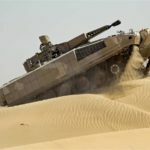 During the Puma’s hot climatic testing in the UAE, a modular Reactive Armor kit was added (as seen at Eurosatory 2014). 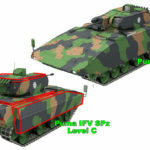 The current Puma IFV hull modular armor Level C, features Bar Armor (Blue), Passive Armor (Yellow) and Reactive Armor (Green). 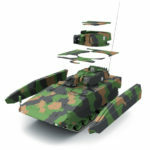 The Reactive Armor is supplied by Dynamit Nobel Defense group, as may well be the rest of the modular Armor. 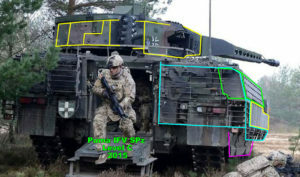 The added passive turret Armor (Yellow) is most likely AMAP-B. The added armor weights almost 10 tonnes and has to be removed for transportation on an Airbus A400M aircraft. 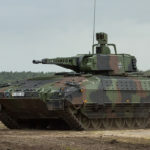 The Puma uses a Remote-Controlled Turret armed with the Rheinmetall 30mm MK30-2/ABM auto-cannon and is fully stabilized for effective fire on the move. 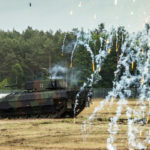 The Puma RCT stores 200 30mm rounds and is capable of firing Rheinmetall’s latest range of 30mm ammuntion, including its air-burst round (ABM). An additional 200 rounds are stored with the crew. 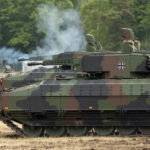 The secondary weapons include a coaxial 5.56mm Heckler & Koch MG4 Machine Gun and Spike ATGM. 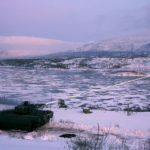 The Spike ATGM was ordered in 2008. 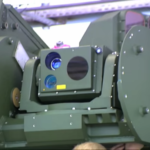 A Puma model equipped with a dual ATGM tube launcher on the left side of the turret was displayed at Eurosatory. Since then, there has been no word on the status or if indeed this added weapon has been cancelled. 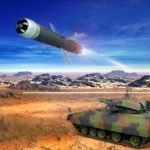 The Israeli Spike ATGM is produced in Europe by Eurospike GmbH, which Rheinmetall owns 40% of. 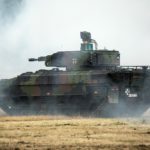 The Puma features a state of the art Fire Control System and stabilized sighting devices, including a Commanders Independent Sight, which provides the Puma with a Hunter Killer Capability, just like that of a 3rd Generation Main Battle Tank. 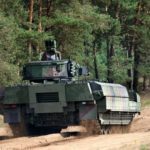 The Puma’s mobility is equal too that of the Leopard 2A6 Main Battle Tank. 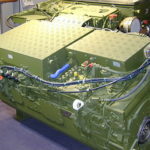 The Puma IFV powerpack is an MTU 800Kw diesel (generating 1088 hp) coupled to the HSWL 256 transmission. This has x6 forward and reverse gears. The suspension system is Hydropneumatic, which provides the vehicle with a smoother ride and reduces the occupants fatigue. 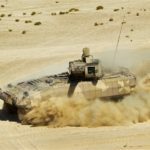 The Puma IFV has a full Air-Conditioning system installed for the crews and infantry comfort. The infantry disembark the vehicle through a large rear ramp. 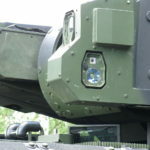 The Puma has Situational Awareness Cameras installed, a Drivers reversing camera and various vision blocks. In addition to the crews monitors, 2 are installed in the Infantry section, which display the feed from the SA devices. The vehicle is equipped with an intercom (BV) and radio system. 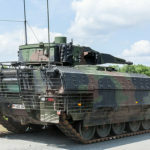 This includes the BV system Thales SOTAS IP and a radio system with an SEM 80/90 (VHF) as well as a HRM 7400 (HF). 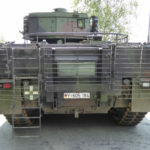 For information processing, the armed armor is equipped with a command and weapon deployment system (FüWES). 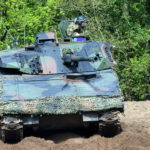 The system is intended to enable friend-to-enemy detection and connection to existing Bundeswehr systems such as FAUST (tactical), the concept of the infantryman of the future or the command information system of the army (FüInfoSys H). 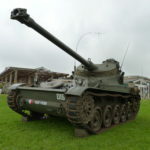 405 were originally ordered for the Army, but this was reduced to 350 in July 2012. Final deliveries are scheduled to be completed in 2020.